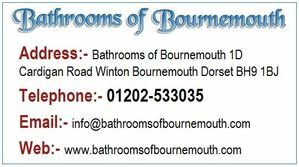 Bathrooms of Bournemouth, are pleased to showcase an ever expanding selection of images, depicting actual installations carried out by us. These include both bathrooms and en-suites and those below on this page, represent are more recent projects. 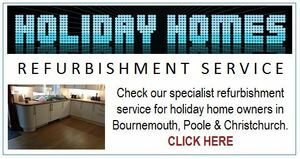 Reviewing these, will likely provide a few ideas for your own designs and installation plus afford you with a good insight into the quality of our workmanship. 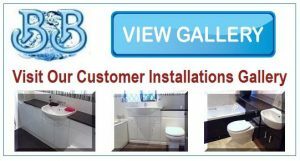 For privacy purposes, we have only included customer initials plus general location and should you wish to view more installation images, do also view the Archive Gallery at our previous website - link at the bottom of this page. 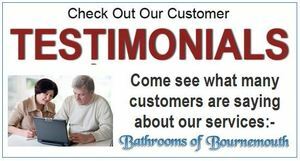 See too our Customer Testimonials page. See also the Archive Gallery at our previous website, for installations between 2008 to 2016 - click your browser back button to return here.